Texas wants to reclaim the mantle of space travel hub it won as the home of Nasa by taking advantage of the expanding private-sector spaceflight industry. Budget cuts led to the end of the space shuttle programme in 2011 and a seemingly diminished role for Nasa, Texas and even the US in space travel. Nasa started having to pay Russia to ferry astronauts to the International Space Station (ISS). At the same time, however, Nasa worked with the private sector to support commercial space travel. Ever a business-savvy state, Texas is doing all it can to entice the private spaceflight industry, starting by securing its own space port. "We are not trying to reinvent anything, but want to grow into the future of spaceflight," says Bob Mitchell, president of the Bay Area Houston Economic Partnership that works with Nasa to identify potential partners. "Houston is the home of human space exploration." Texas has set the gold standard for attracting commercial spaceflight companies, according to industry insiders. They argue that if Texas keeps doing the right thing with economic incentives and legislation it could take the lead in a rapidly expanding market. Commercial spaceflight offers rich rewards for companies and the states within which they locate. SpaceX, for example, a pioneer in the private spaceflight industry, has more than 40 contracted launches on its schedule, including some with Nasa to resupply the ISS, which are worth $4bn (£2.6bn). Longer term this commercialisation of the industry could one day bring space travel to the masses. 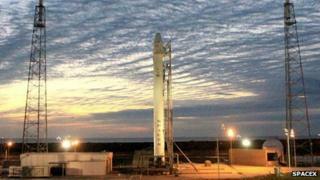 SpaceX is considering establishing one of the world's few commercial orbital launch sites on the Texas coast at Boca Chica Beach. Its Falcon 9 series of rockets are currently built in California and driven by truck to Florida's Cape Canaveral Air Force Station, from where they take supplies to the ISS. Texas has competition: Florida, Georgia and Puerto Rico are also vying to host SpaceX's new launch site. But it remains a leading candidate, according to Elon Musk, the entrepreneur behind SpaceX. Texas' bid is strengthened by SpaceX already having operations in Texas (it has a rocket development facility near Waco) and by the state's strong supplier base and business-friendly environment, according to Christina Ra, SpaceX's director of communications. Texas' southern and coastal location is ideal for US-based orbital launches, and the state has established the necessary laws to protect private-sector spaceflight activities from liability. "We've done everything to pave the way to make Texas a space state," says State Representative John Davis, the man behind a bill that provides noise ordinance and liability protection to enable spaceflight activities in Texas. Nasa is exploring the possibility of sending people to more distant reaches of the solar system and commercial space transportation is a vital component both for this goal and for Nasa's endeavours at the ISS, says Trent Perrotto, public affairs officer at Nasa headquarters. Meanwhile, Texas state and local governments are working with Houston's Johnson Space Center on research and technology projects that can be commercialised for more down-to-earth purposes, such as offshore oil exploration and human medical applications, says Josh Havens, spokesperson for Governor Rick Perry's office. "We believe that both legacy and emerging private space industries can co-exist and complement one another very well in Texas," Mr Havens says. Mr Mitchell from the Bay Area Houston Economic Partnership says that Houston's Ellington Airport is also seeking Federal Aviation Administration designation as a space port, which would enable commercial spaceflight companies and users to benefit from the quality of life and amenities offered by Houston. He points out that most states' space ports languish in desert. Another incentive is Texas' workforce. "It is pretty obvious to commercial space companies you need skilled employees," Mr Mitchell says, noting that there are already 14,000 employees at Houston's Johnson Space Center. "Currently space travel costs millions of dollars per person, but eventually it will be in the thousands," says John Curry, director of systems engineering for Sierra Nevada, which is developing the Dream Chaser, an orbital transport vehicle to compete for a contract to ferry Nasa astronauts to the ISS. Another developing space-related commercial opportunity is sub-orbital reusable vehicles (SRVs) that offer space experiences such as weightlessness and a view from space of the curvature of the Earth, at a significantly cheaper price than orbital flights. Unlike orbital launch systems, SRVs can launch into and return from space more than once and do not require months of refitting like Nasa's space shuttle. "It is the same thing that happened to commercial aviation in the 1930s, which used to be ridiculously expensive," says Michael Lopez-Alegria, president of Washington-based Commercial Spaceflight Federation. XCOR Aerospace and Virgin Galactic plan to have commercial sub-orbital flights within a year, Mr Lopez-Alegria says. Seats will go for between $100,000 and $200,000. Regardless of whether Texas gets its space port, technology and market forces appear to be moving in a direction that will enable many more people to experience what only a very small number have tried so far. "The view is phenomenal," says astronaut Peggy Whitson who has spent 377 days in space since 1996.